The V&A are today publishing an iPad app showcasing a new and previously undigitised theatrical photographic archive. The new app – Played in Britain: Modern Theatre in 100 Plays – covers six decades of British theatre history – from 1945 to 2010 and is introduced by the actor and academic Simon Callow. Built on the mag+ iPad publishing platform, the app is packed with original essays, historical photographs and supplementary multimedia content. It introduces new audiences to the richness of the V&A’s Theatre and Performance Collection. 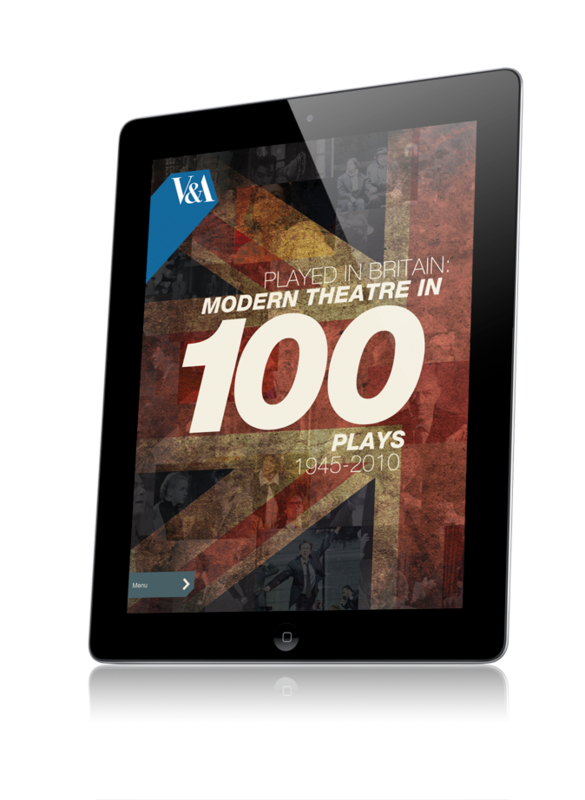 Played in Britain uses mag+’s sleek layouts to guide readers through 600 images of British theatre photography – taking full advantage of the iPad’s retina display, multi-media, and intuitive interactions. The app presents each play as one long borderless page – for a smooth, fully engaged, reading experience. Taking full advantage of powerful mag+ technology, the app brings to life the stories behind these rare photographs. A catalyst for this app came in 2009, when the archives of prolific Soho theatre photographer Douglas H Jeffery were acquired by the V&A. The Theatre and Performance department of the Museum commissioned mag+ to build an app to promote its rich post-war theatre collections to the public on iPad. Malcolm Sutherland, responsible for digital projects and apps at the V&A, has already seen first hand how digital publishing can bring the V&A to a global audience, increasingly keen to consume content on-demand. The V&A’s calendar app – also created using mag+ – was released earlier this year. It is about to be updated, having already been downloaded more than 16,000 times. The app is available now from the Apple app store. It is priced at £7.99. The V&A is the world’s leading museum of art and design with collections unrivalled in their scope and diversity. It was established to make works of art available to all and to inspire British designers and manufacturers. Today, the V&A’s collections, which span over 2000 years of human creativity in virtually every medium and from many parts of the world, continue to intrigue, inspire and inform.